An Irish whisky finished in a Saint Julien appellation in Bordeaux wine? I admit it does sound a bit far fetched, but this is what we’re about to taste today. 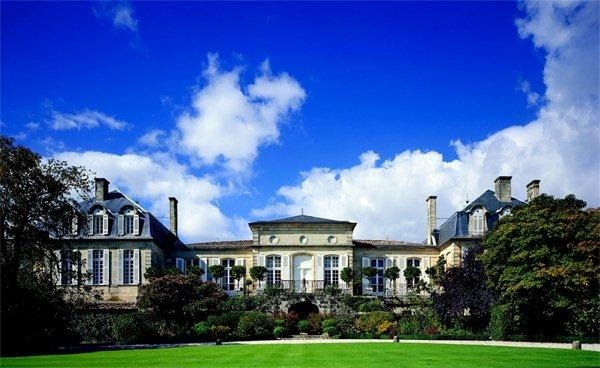 If you’re not a wine buff, some information about Léoville Barton : It is set in the heart of the Saint Julien appellation in Bordeaux, one of the most revered winemaking regions in the world, Léoville Barton is a grand cru Château renowned for producing world class wine. Léoville Barton is overseen today by Anthony and Lilian Barton, direct descendants of Thomas Barton, a ‘Wine Geese’ winemaker who founded a wine merchant company in 1725, after migrating from his native Ireland. 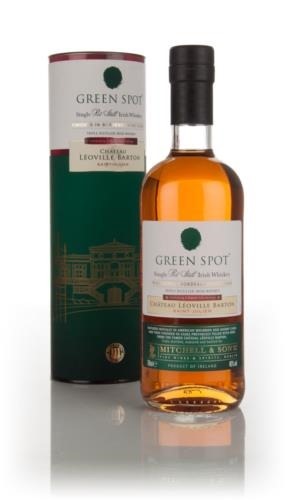 This green spot is initially matured in a traditional mix of ex-Oloroso sherry, new Bourbon and ex-Bourbon barrels the whiskeys were then transferred into the ex-Bordeaux wine casks for between 12 and 24 months. Nose: Sour sweet notes with grape peel, vanilla and orchard fruit (mainly peach) some red apple , hints of grappa and perfumed eau de vie. Palate: spicy with pepper and mild chilly on entry , then getting fruitier with grapefruit , berries and a bitter oaky note, clove and macadamia nut. Finish: Dry, tannins and grapefruit pith. This is a nice change from the basic Green spot I’ve tasted a few times (guest notes here), with an added dimension and quite some wine effect. If you’re not a fan of wine finishes I urge you to skip this one, but on the other hand if you do not mind a few wine-y notes, you’re in for some fun. It’s not overpowering, and does add a fruity / tannin-y edge, some would love. I am not sure where I stand on this one, it’s good but I would not buy a full bottle myself. For me the Original was nicer, marginally nicer, but still.